IN LOVE WITH SNOWY OWLS? WE ARE TOO, BUT KEEP THEM SAFE WITH THE GUIDELINES FROM THE ROGER TORY PETERSON INSTITUTE. IMAGE: SCOTT KRUITBOSCH THANKS TO THE RTPI. Mysterious, beautiful, rare ... and vulnerable, meet the snowy owl, the iconic bird of winter. Who: Quiet adults and young people ready and able to be silent, no dogs. Tip: Aggressive stalking, flushing getting too close, noise, aggressive driving all contribute to snowy owl deaths. Please be considerate. When snowy owls suddenly appear out the northern sky, photographers, birders, and people who rarely notice birds rush to catch a glimpse. Last week the IUNC reclassified the snowy owl (Bubo scadiacus) from Least Concern to Vulnerable. Habitat loss, declining prey populations, and obstacles as diverse as traffic and climate change have caused snowy owl numbers to plunge 64% since 1970. Today, we need to add too much love to that list of threats. Last week we contacted the Roger Tory Peterson Institute of Natural History in Jamestown, New York. Scott Kruitbosch, the RTPI Conservation and Outreach Coordinator shared this advice and guidelines for responsible snowy owl viewing. HERE'S LOOKING AT YOU, BUT NOT EXACTLY. THIS SNOWY 'S ATTENTION WAS CAUGHT BY SOMETHING BEYOND THE CAMERA. IMAGE: ©SCOTT KRUITBOSCH THANKS TO THE RTPI. 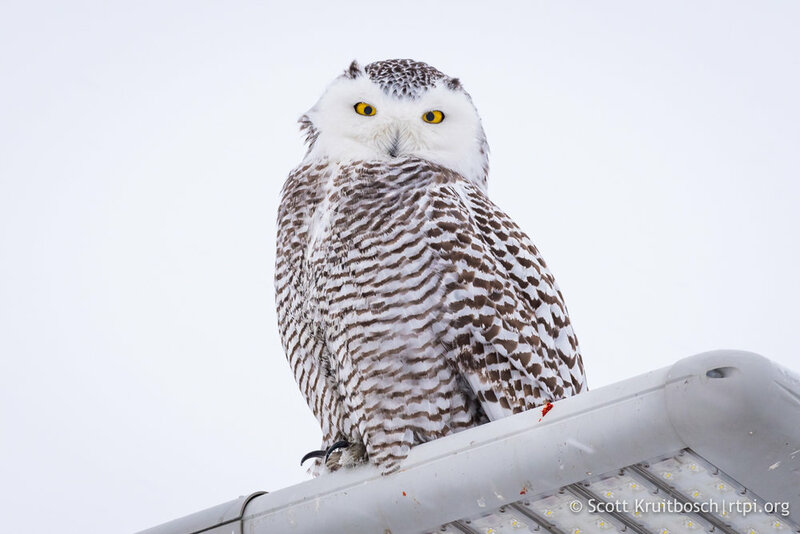 When is the best time of the day to see a snowy owl? Scott: Snowy owls are active at all times of day and night. Their schedules are different owing to their arctic home. Nevertheless, they tend to be a bit more active in the later afternoon, and rest a bit more during midday. How far away is safe distance to watch or photograph a resting snowy owl? Scott: It can be difficult to define a safe distance for a snowy, and in general you should be watching the bird and keeping such a distance that it does not pay any attention whatsoever to you. Some birds start to get wary and watch a human from 1,000 feet away. 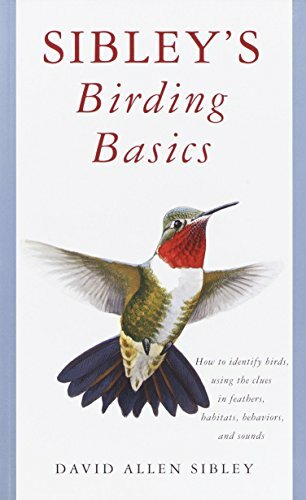 Other birds might fly towards someone and land on a perch 100 feet from them, or be perched on a utility pole over a busy road with pedestrians. Staying away and using a spotting scope and binoculars while remaining in a vehicle always helps. What if you are out with your dog & you happen on a snowy owl? Scott: You should be sure to keep your distance and remain as far as possible or, ideally, turn around and head in the opposite direction. Snowy owls do not like dogs and immediately key in on them in the field. They do not know the difference between your beloved furry family member and a potentially threatening mammalian predator or rival. What about noise? Does noise affect snowy owls? Scott: Snowy owls can hear much more than we could possibly imagine - even the movements of a vole buried deep in the snow from quite a distance away. Like other birds, you should be as quiet as possible around them. Are snowy owls especially skittish or is it the same with all owl species? Scott: Every individual owl is different, and species can vary. Being a diurnal species with little human contact on their nesting grounds they can be somewhat more tolerant of people, but like us, they all have their own limits. When they get spooked, owls quickly take off or "flush." What happens or could happen to the owl when it gets flushed? Scott: A bird that is continually flushed from resting, preening, or hunting will use up resources - energy and time - it cannot afford to lose. Birds that are repeatedly harassed may also leave what could be a prime location and have to go searching for a lesser habitat, or into an unknown area. In short, it can be harmful or deadly. Can you say something about the practice of using calls to get the bird's attention? Scott: No one should ever attempt to get the attention of a snowy owl in this way, or to ever use any food to lure or bait a bird. That cannot be overstated. Ideally a bird should behave as if you were never there, and the best observations can be had in this detached manner. 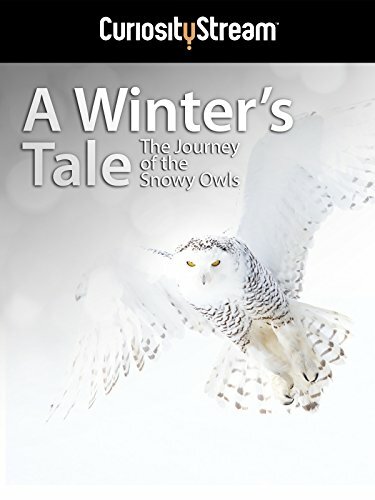 What are your best responsible practices for viewing snowy and other owls in the wild? 1) You have to know where and how they go (habitats and habits, like any other species). 3) ensure they are oblivious to your presence, and keep those around you behaving in the same manner. 4) Far too often birders will spread out and “surround” a bird, approach way too quickly, chat or make loud noises, and even try to run them down or make the bird react. Good fieldcraft is all about knowing your subject and letting it behave as it will, or even come naturally towards you. Patience is a virtue when birding, and paying careful attention to the behavior of each individual owl is critical. 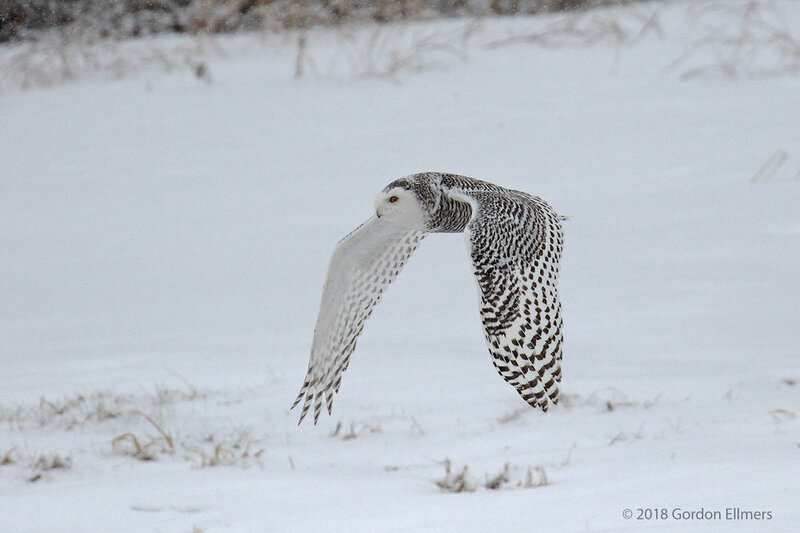 What types of habitats do snowy owls look for this time of year? Scott: Fields, beaches, marshes, dunes, farmlands, grasslands - any open area with ample prey and a few places to perch works wonderfully. Would you share some places in New York or Connecticut where we might be able to spot a snowy owl? Scott: I’d rather not name specific locations considering the popularity of these birds at the moment, but any time you are on the shore keep an eye on the beach and marshes. Airports are always popular, and inland grasslands and farm fields can be a good spot. Imagine the open spaces of the arctic tundra and find locations similar to it. What other states or areas can the snowies be seen this year? Scott: They’re always moving around, but the entire Great Lakes region through the Plains have plenty of owls this year, too. Let's talk about the snowy owl themselves. Some are very white, some have dark bars or marking on their wings and bodies. How does snowy owl coloring relate to age and gender? Scott: Young Snowy Owls have more extensive and darker barring than older birds. Females typically have more as well. The most white birds are adult males. Scott: Many will perish as young adults struggling to find food or migrate south for the first time, not making it through their first year. They can live several years, and even near 20. How far south do they go from their winter Arctic range - and what is their winter range? Scott: It can vary based on the year, the weather, the population of a given season, and more. Snowy owls can make it all the way to Florida at the right time. When do the snowy owls hunt? What do do they eat? Scott: Any time of day or night will do, and nearly any prey, too. Snowy owls can be found hunting over the water on ducks in the middle of the night. They’ll take various small mammals on a bright sunny afternoon. They are resourceful and capable of capturing a very wide variety of meals, though the most common are lemmings, especially on the breeding grounds. I keep hearing that this is an "irruption year" What is an irruption year? Scott: Snowy owls irrupt south every season in varying numbers. Some locations have annual visits from the species. How many make the trip and how far and wide they are spread depends on many variables, especially prey levels from the nesting grounds which can create higher breeding success of the previous summer, all the way to weather and local climate conditions. What causes an irruption? Why do there seem to be more individuals and further south in the last few years? Scott: Irruptions occur as Snowy owls find winter territory to survive on and spread out across the landscape. During years where prey populations boom and there have been many young snowies born over the breeding season, more may head south to join us. They can be somewhat nomadic in this sense during the wintering seasons. Do all snowy owls migrate? Who does / doesn't? Why or why not? Scott: Some Snowy owls stay in place while others head to specific locations, possibly with the same birds visiting the same spot each season, like other bird species. 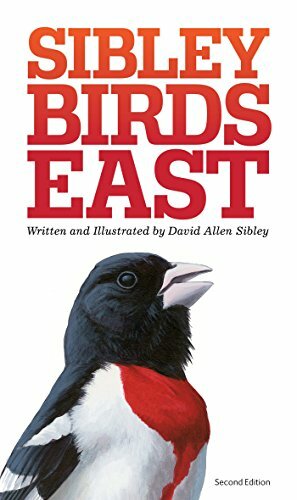 It is difficult to tell to what degree birds are migrating, the paths they take, how far they stay in one spot - or at least it was until Project Snowstorm started adding GPS units to the birds to learn the answers to these very questions. What are the greatest traditional threats to snowy owls? Scott: Historically the greatest threats to a species like the snowy owl would likely have been finding enough prey to survive, and possibly migration through unknown territory. Difficult storms, prolonged stretches of abnormal weather, and predation of nests and young could have all threatened the species, as they could now. What are the greatest threats to snowy owl survival today? Scott: Snowy owls face myriad threats today including collisions with vehicles and power lines, climate change, pollutants and toxins, airports (collisions and intentional kills), and many more anthropogenic factors. Is there anything we (the public) can do to protect the snowy and/or other owls? Scott: Certainly! Support avian and wildlife conservation in all forms. Educate people about why these majestic birds matter, and help advocate in order to reverse climate change. Keep our world clean and promote a healthy, pollution-free environment. Scott thank you for educating us about snowy owls, but now, please tell us about you. How long have you been the Roger Tory Peterson Institute? 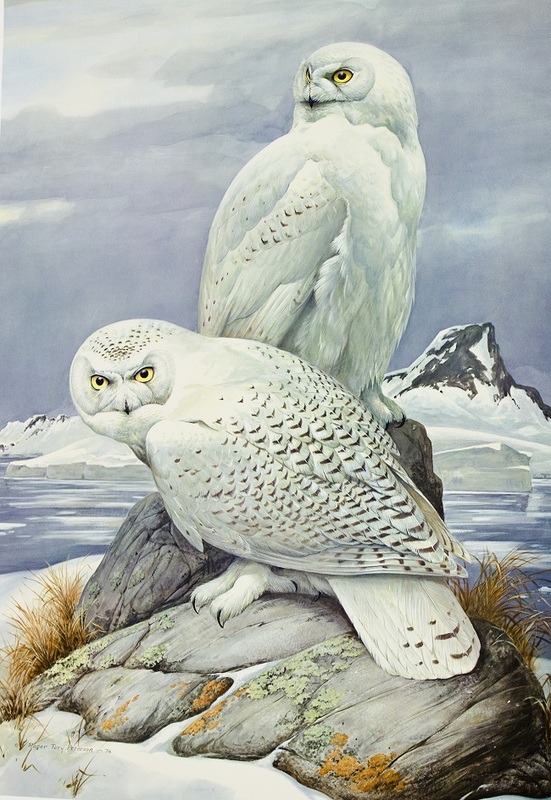 SNOWY OWLS, ONE OF ROGER TORY PETERSON'S FAVORITE SPECIES TO PAINT IS THE EMBLEM OF THE ROGER TORY PETERSON INSTITUTE OF NATURAL HISTORY. IMAGE: THANKS TO THE RTPI. Scott: I have been with RTPI since August 2013. What brought you to the Roger Tory Peterson Institute? Scott: I worked for RTPI President Twan Leenders for a few years during his time at Connecticut Audubon Society. I was fortunate enough to join him at RTPI to continue our conservation and education efforts. What would you like to add about the Roger Tory Peterson Institute? 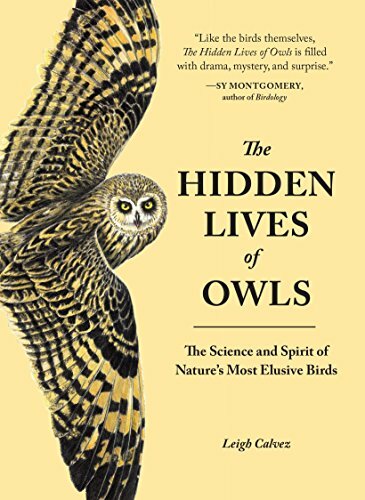 Scott: Artist, author, and influential conservationist, Roger Tory Peterson pioneered the modern age of nature study as a pastime with his breakthrough 1934 book A Field Guide to the Birds, the first true field guide ever produced. 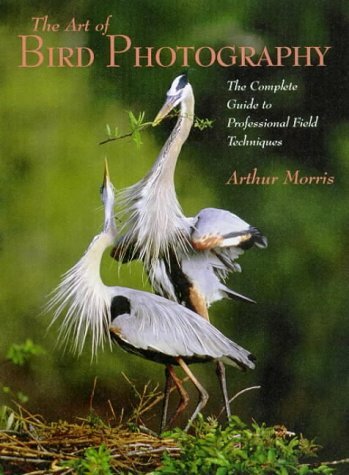 Although birds were his great passion, his knowledge and influence reach far beyond birdwatching. Peterson’s contributions have helped to educate generations about nature worldwide. As the only official institutional steward of Dr. Peterson’s legacy, it is RTPI’s mission to foster understanding, appreciation, and protection of the natural world. 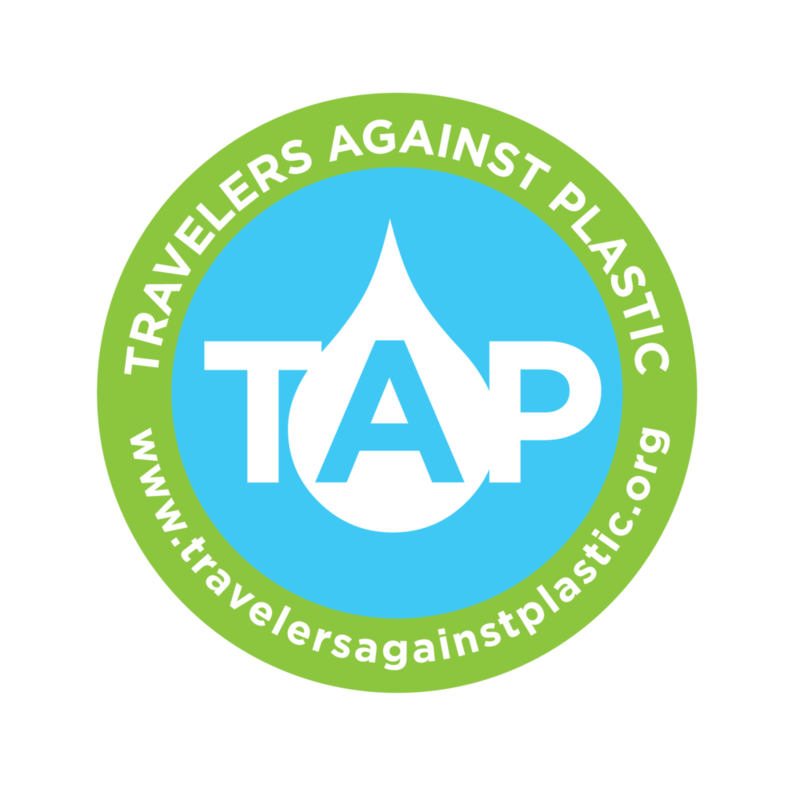 Learn more at www.RTPI.org. What would you like to add about responsible bird or wildlife viewing? Scott: Follow the tips I outlined above and remember that any and all wildlife viewing should be responsible, compassionate, and with a mind towards protecting the animals and the habitat they live in. In closing, what would you like to add about snowy owls? Scott: They are enthralling creatures, but please do not let that get the best of you in the excitement of a special moment, intentionally or not. We have to remember that if we wish to continue to enjoy them, and allow future generations to do so, we have to keep respecting them. Is Getting That Better Photograph Worth Taking a Life? How To Get Spectacular Bald Eagle Photographs at Conowingo Dam. Maryland.